SOLD SOLD SOLD!! 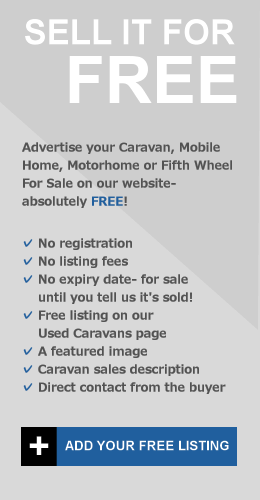 2007 Atlas Tempo Mobile Home For Sale On Camping Almafra Caravan Park, Costa Blanca, Spain. Spacious 3 bedroom mobile home sited on a desirable plot with stunning mountain views. The changeover is included in the selling price. Open plan central lounge with corner sofa, coffee table, rug, dining table and chairs, electric fire and LED lights throughout. Fully fitted kitchen with integrated oven and gas hob, full size fridge/freezer, kettle, toaster and plenty of work top space and cupboards. Gas boiler providing hot water. The master bedroom has a double bed with built in wardrobes and cupboards. There are 2 other bedrooms, one with a double bed with built in wardrobe and overhead cupboards and the other has bunk beds. Shower room with full sized walk in shower, hand basin and separate toilet. Patio doors lead to a large decked area (12ft x 19ft) with views of the surrounding mountains. The caravan skirt has also been cladded with storage underneath. An Aitana toldo has been fitted with roller blind sides. A patio area with a large storage shed and space to park a car. 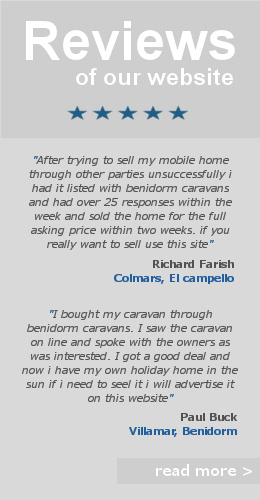 Benidorm Resale Mobile Homes | Residential Static Caravans In Spain | Camping Almafra Caravan Sales.